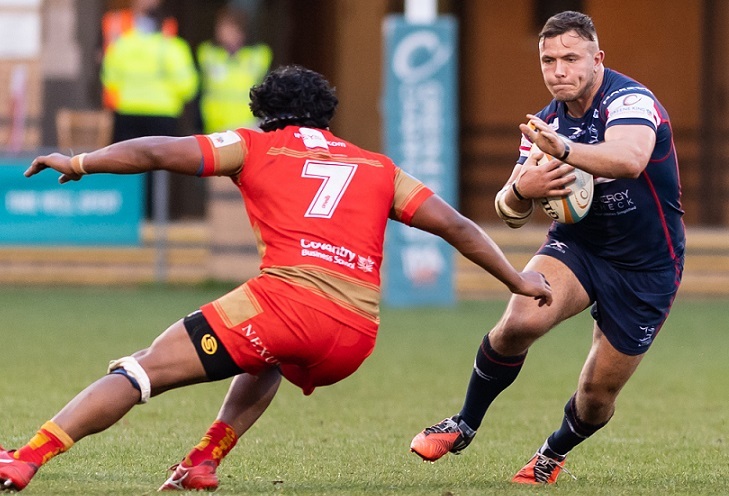 Coventry Rugby are delighted to announce that local product Will Owen has joined the club with immediate effect. The 25-year-old centre, who has spent the last two seasons at Doncaster, has signed a three-year deal at the Butts Park Arena. Owen claimed 12 tries in 23 games for the Knights including scores against Cov earlier this season in both the Championship Cup and the league. Owen, whose father Glyn appeared 13 times for Cov as a full back and winger between 1985 and 1988, is a product of Finham Park school and Kenilworth RFC where he played alongside Will Maisey as a mini and junior before progressing to the colts and senior XV’s. 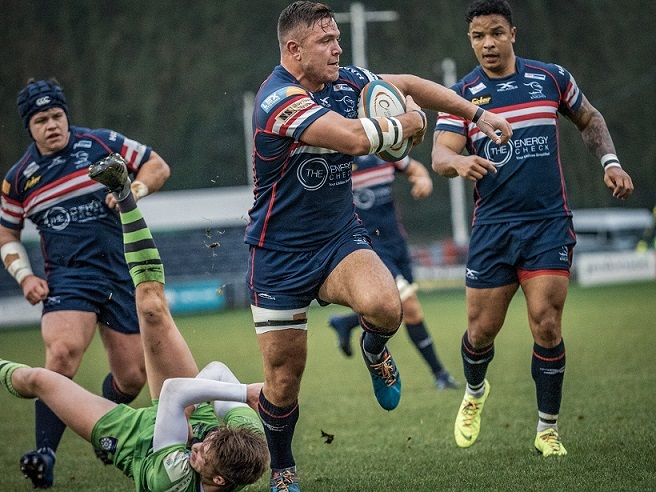 The powerful midfielder has five seasons’ experience in English rugby’s second tier having spent a year with Rotherham and two with Birmingham Moseley prior to making the move to Castle Park. Owen was previously a member of the Newport Gwent Dragons academy during which time he also appeared for Ebbw Vale and Cross Keys in the Welsh Premiership. Will Owen attacks Jack Ram during Cov’s Championship Cup visit to Castle Park. “Will has been one of the stand-out centres in the Championship for a number of years and I have tried to bring him to Cov on more than one occasion. “As a Coventry kid I know he is excited about the prospect of playing a key part in the journey we are on. “Being a Coventry lad, I have always wanted to play for Cov at some point in my career. “My Dad used to take me to games at Coundon Road and I’ve supported the club ever since. “It is especially special to have joined when the club is going through such an exciting time, and as such I was more than happy to commit my next three seasons there. 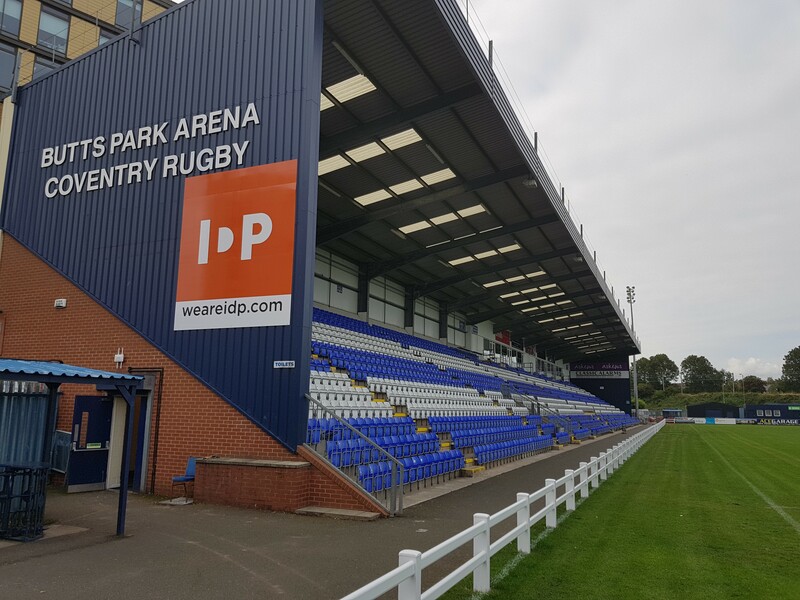 Advanced tickets for this Satuirday’s IPA Greene King Championship clash with Richmond, preferentially priced at £18 (seated), £15 (standing) and £2 (ages three to 16) are available before 4pm on Friday from the Butts Park Arena ticket office on 02476 231001. Posted in News and tagged Butts Park Arena, Coventry Rugby, greene king ipa championship, Rowland Winter, Will Owen.